Last night, the City Council approved a significant change in New Rochelle’s leaf collection policy. 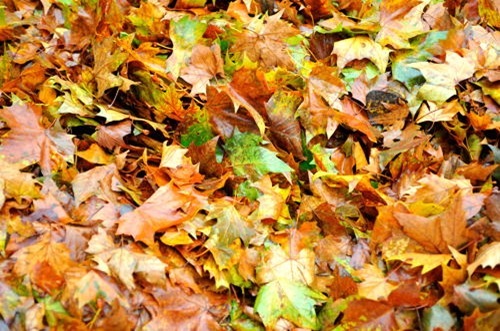 Beginning this fall, loose piles of leaves at curbside will no longer be picked up. Instead, homeowners (and professional landscapers) will have several options. The contestants are . . .
1) Bagging: Placing leaves in biodegradable yard waste bags that will be picked up at least once a week. 3) Carting: Delivering leaves directly to the City’s yard waste transfer site. 4) Mulching: Mulching leaves on site, using mulching mowers or standard mowers equipped with mulching blades. And the winner is . . . mulching! It is by far the best choice from every perspective. Mulching is cheaper, involves less labor, and produces healthier lawns that don’t need to be fertilized as much. And there are many landscapers who offer mulching services at no additional charge. So feel free to bag your leaves if you like, but you may as well stuff some dollar bills into the yard waste bags, too, because you’ll be throwing away money. Taxpayers will save about $250,000 to $300,000 per year as a result of this change. Plus, our local roads and storm drains won’t be clogged with leaves each fall. Everybody is better off. A new policy like this does require a change in habits and perspectives, however, and that makes public information especially important. To ensure that this transition occurs smoothly, the City will devote a portion of the first year’s budget savings to a professional public information campaign, involving mailings, robo-calls, lawn signs, and educational demonstrations for homeowners and gardeners. We want to be sure that everybody understands their options, especially mulching, before the leaves start to turn. Here’s some more information, including facts and tips about mulching, a good case study from Greenburgh, and my prior comments on this issue. And many thanks to the Citizens Panel on Sustainable Budgets, which recommended this policy in their 2012 report.